Personal real estate branding is the process of developing your own individual brand and fostering local brand recognition. If you think about the products and services you use regularly, you probably get a quick glimpse of their logo or brand in your mind. As a new real estate agent, building brand awareness for your own services takes time and effort, and it’s a must-do for your real estate business. Your personal brand is a reflection of who you are, what you represent, your quality of service, and your value proposition. It’s greater than just a logo or color scheme. Your brand is your reputation. This article is designed to guide you through the basic steps of personal real estate branding. Start by articulating what you represent. What is your value proposition? What makes you stand out from other real estate professionals? Write out what you stand for, your target audience, and why you are different from other agents. Refer to your mission statement, if you’ve written one. Certain words and phrases distinguish different brands. Words like “experienced,” “leader,” “award-winning,” and “specialist” can have a tremendous impact on potential clients, but are used by many. As a new agent, you might not have awards and recognition to fall back on. But you may have business experience that can help you negotiate the best deal for your clients. Maybe you’re tech savvy and plan on marketing to the millennial generation, for example. When crafting your brand messaging, keep your target audience in mind and choose words that will speak directly to them. Now that you know what you want to say about yourself, the next step in personal real estate branding is to create a symbol or logo that best represents you. A local designer can translate your vision into a simple symbol that tells the people who you are and what you can do for them. Some agents choose to leave this step up to their website developers. Others seek guidance from graphic designers or art students. Just make sure your real estate logo to reflects your values and speaks to your target audience. 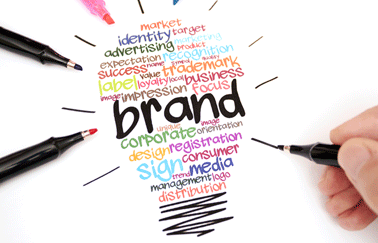 You will also want to consider the rest of your visual identity and how it ties to your brand. This includes the use of consistent fonts or typography, colors, and imagery. One word of caution regarding logos and personal real estate branding: If you’re working under a broker (as most agents do when they’re starting a real estate career), it’s important that you understand your broker’s rules and guidelines for branding. For example: Coldwell Banker, RE/MAX, and other large brokerages have rules about including the broker’s logo anytime your personal real estate logo is displayed. You’ll encounter rules about the sizing of the logos (one can’t be bigger than the other) and when and where they can be used on social media. When in doubt, ask your broker for a copy of the company’s marketing guidelines. Show the broker your website or marketing collateral before it’s completed to make sure you’re on the right track. This is especially important when you’re a new real estate agent and might not fully understand the guidelines. These are just a few of the strategies that you can employ to become a locally recognized real estate brand. The point of personal real estate branding is to be creative, be original, but most of all, be on point. Prospects should be able to easily see the connection between your logo and your brand. And, the more they see it, the more likely they are to remember you the next time they’re thinking about real estate. Are you a new real estate agent? Check out our article on the 7 Components of a Real Estate Business Plan for more advice related to personal real estate branding and getting started in real estate. Learn how to start your real estate career in the short video below.